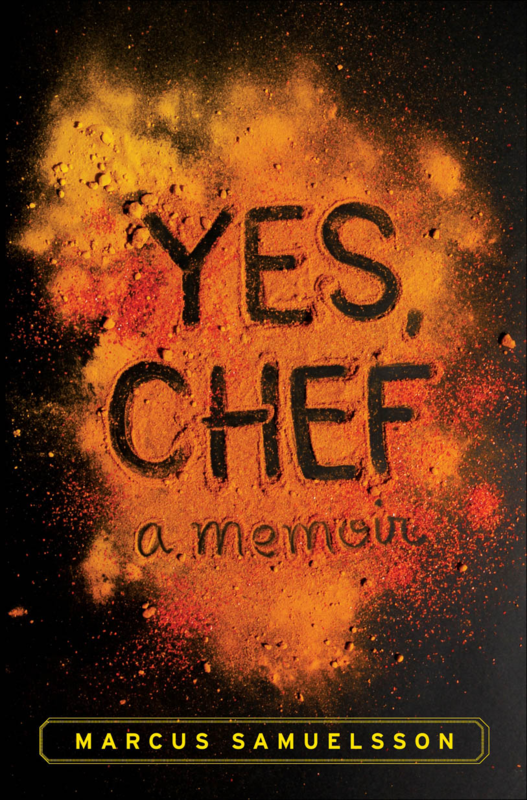 This is a lovely autobiography of one of America’s super chefs, who went from being an Ethiopian orphan, to a Swedish adoptee, to one of the most famous chefs in the US. It traces his life growing up in Sweden, the impact of being black in a predominately white world, and his path to becoming a chef, from cooking school in Sweden through the grueling internships at various restaurants and around the world. He shares his personal joys and struggles, his rise and the life choices he made and regrets, his period as the executive chef of Aquavit-in Minneapolis, and the founding of his new restaurant in Harlem in New York City. Marcus Samuelsson’s story is inspiring, thought-provoking, and truth seeking. It is an intense but rewarding read, one that examines racial identity, belonging, acceptance, and pursuit of excellence. Portions of the book suffer from dense culinary descriptions that may be inaccessible to readers not so inclined; yet, it is integral to the book’s basis, which begins and ends in the kitchen. A masterpiece! From a child adopted out of Africa-Ethiopia, and growing up in Sweden to one of America’s top chefs, this is the story of the surprising journey Marcus Samuelsson has taken. Chef Marcus Samuelsson has the flavors of many countries in his mind. There is the Ethiopian spice flavor, used by the birth mother he no longer remembers. There are the herring, pickles, and jams of Sweden, where he grew up with his adopted family, and the roast chicken that was the specialty of his grandmother, who inspired his love of cooking and gave him his first lessons. The book covers both the good and admirable in his life as well as the parts many of us would prefer to keep under wraps, so it ranges from the strong family that raised him and his strong work ethic. I knew nothing about his life beyond that point and found this memoir to be a fascinating story. He is such a diverse, focused and talented individual. His story of being a famous chef is a true testament to the dedication and extreme hard work that it takes to become an award winning chef. The book was an insightful look into the upscale restaurant world and was written with a no holds barred eloquence. A true story worth your time to read. I’ve been a Marcus Samuelson fan since his Top Chef Masters appearance, and am always pleased to find him on shows like Chopped, Chopped Champions, and more. I was excited to find he’d written a memoir, and I can honestly say, not one page of this book disappointed me or changed my opinion of him. I’m definitely a fan, and proud of him. Finally, A James Beard Award-Winning chef and author of several cookbooks, Marcus Samuelsson has appeared on Today, Charlie rose, Iron chef, and Top chef masters, where he took first place. In 1995, for his work at Aquavit, Samuelsson becomes the youngest chef ever to receive a three star review from the New York Times. His newest restaurant, Red Rooster, recently opened in Harlem, where he lives with his wife. He also won the James Beard award, appear on “Top Chef Masters,” and create the Obama’s’ first official state dinner. Clues to the origins of the Queen of Sheba legend are written in the DNA of some Africans, according to scientists. Genetic research suggests Ethiopians mixed with Egyptian, Israeli or Syrian populations about 3,000 years ago. This is the time the queen, mentioned in great religious works, is said to have ruled the kingdom of Sheba. According to fossil evidence, human history goes back longer in Ethiopia than anywhere else in the world. But little has been known until now about the human genetics of Ethiopians. Professor Chris Tyler-Smith of the Wellcome Trust Sanger Institute in Cambridge, UK, a researcher on the study, told BBC News: “Genetics can tell us about historical events. More than 200 individuals from 10 Ethiopian and two neighbouring African populations were analysed in the largest genetic investigation of its kind on Ethiopian populations. About a million genetic letters in each genome were studied. 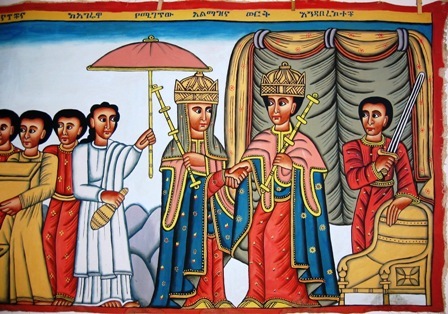 Previous Ethiopian genetic studies have focussed on smaller sections of the human genome and mitochondrial DNA, which passes along the maternal line. Dr Sarah Tishcoff of the Department of Genetics and Biology at the University of Pennsylvania, said Ethiopia would be an important region to study in the future. Commenting on the study, she said: “Ethiopia is a very diverse region culturally and linguistically but, until now, we’ve known little about genetic diversity in the region. “This paper sheds light on the very interesting recent and ancient population history of a region that played an important role in both recent and ancient human migration events. The scientists acknowledge that there are uncertainties about dating, with a probable margin of error of a few hundred years either side of 3,000 years. They plan to look at all three billion genetic letters of DNA in the genome of individual Ethiopians to learn more about human genetic diversity and evolution. There’s just something about Belgium. Maybe it’s the friendly & welcoming people. Maybe it’s the stunning architecture lining the cobblestone streets, or perhaps the choice of over 650 types of beer or the smell of chocolate. No matter what your interests, Belgium has something for everyone: romance, adventure, shopping for antiques as well as the latest trends. Energetic and carefree, the overall mood in Belgium is infectious, summoning visitors to take in the views of the Grand Place in Brussels as their worries fall by the wayside. Located just 85 minutes from Paris and less than 2 hours from London and Amsterdam by train, the Belgian capital of Brussels encompasses all that Europe has to offer. Belgium is multicultural and multilingual, with English being widely spoken among locals. Visitors can easily hop on a one-hour train ride to take a walk through Liege or stroll through the romantic city of Namur hand-in-hand with a loved one. 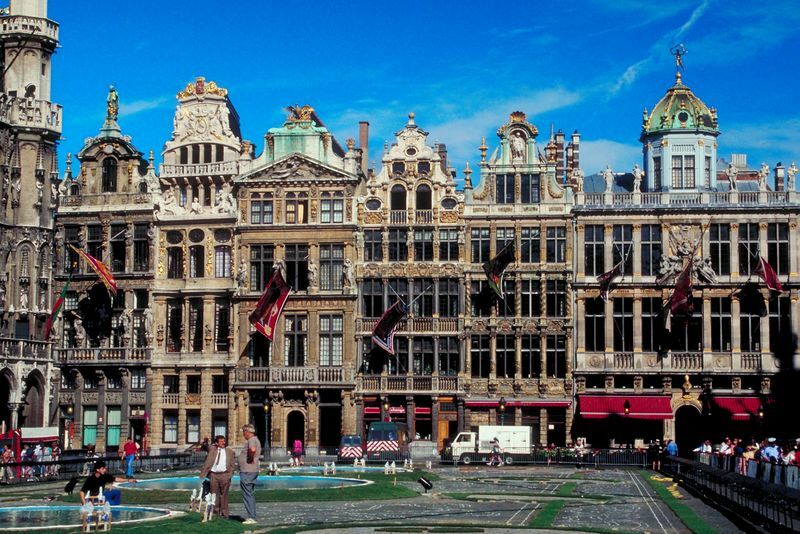 The historical city of Brussels is one of the world’s greatest cosmopolitan capitals, and offers 80 museums, seasonal markets, jazz festivals and a bustling night life. This year, as part of the Year of Gastronomy in 2012, Brussels is a food lover’s paradise with its Brusselicious food themed festivities. Visitors to Brussels in 2012 can book a trip on the Tram Experience, 2-hour tram ride through Brussels while enjoying a 3-course meal, or enjoy a Dinner in the Sky at one of four special and historic locations in Brussels. For those who prefer a stationary meal, consider one of eight Themed Dinners ranging from the 150th Anniversary of Les Miserable, written in Brussels, to the Ommegang Pageant. Any way you slice it, you can’t go wrong! Ever-increasing visitor numbers have prompted authorities in Beijing to ready more sections of the Great Wall of China for tourists. The capital plans to add the Huanghuacheng and Hefangkou sections of the Wall to the existing four parts of the fortification open to the public following necessary repairs and renovations. Beijing Cultural Relics Bureau (BCRB) chief Kong Fanzhi said the already opened Mutianyu and Badaling sections of the Great Wall would also be extended to cater for burgeoning visitor numbers, China Daily reported. Mr Kong said the initiatives aimed to “better protect” the Great Wall by “diverting visitors and reducing the load” on the parts of the fortification currently open to tourists. 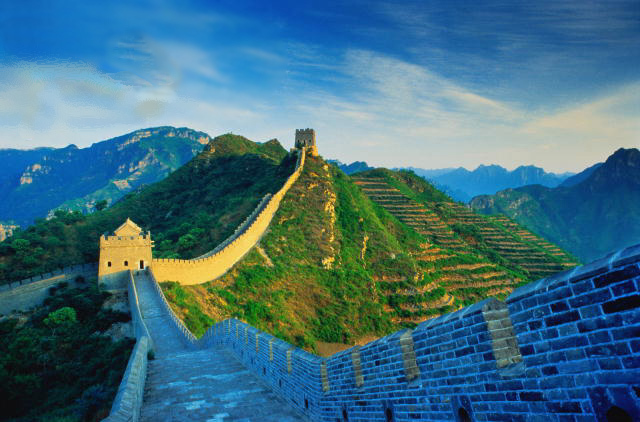 According to the bureau chief, Beijing has invested millions of yuan into the repair of the Wall, which he says is buckling under the weight of mass domestic and international tourism, particularly on weekends and during holidays. Making matters worse, a rising number of tourists are climbing parts of the Great Wall closed off to the public, causing further damage to the Chinese icon. Despite this burden, BCRB Department of Preservation director Wang Yuwei said most of the 60 kilometers of the Great Wall in the capital had been kept in “good condition”. No date has been set for the opening of the new sections, the bureau said. Meanwhile, it has been revealed that the Great Wall of China is nearly two and a half times the length it was widely believed to have been. According to local media, in its recent survey report, the State Administration of Cultural Heritage deemed the wall to be 21,296 kilometres (13,233 miles) – much longer than the previously estimated 8,852 kilometres (5,500 miles). Yan Jianmin, office director of the China Great Wall Society, said the sizable discrepancy had arisen as previous estimations had only referred to Great Walls built during the Ming Dynasty (1368-1644). “But this new measure includes Great Walls built in all dynasties,” he said. In related news, archaeologists working on the latest dig at the site of the Terracotta Warriors in Xi’an have said the project has unearthed more than 300 important artefacts including tools, weapons, parts of chariots, twelve pottery horses and most notably, around 120 more warriors. The third dig to take place in the museum’s number one pit in Xi’an, capital of Northwest China’s Shaanxi province, began in 2009. Going to Ethiopia? If you use Skype, you will be back after 15 years. If you’re heading to Ethiopia sometime soon, I’d like to offer you one small but crucial bit of advice: Don’t get on SKYPE. It will cost you 15 years in prison. Not a bad deal for cheap talk. The government of Ethiopia has just passed new legislation that criminalizes the usage of Internet-based voice communications such as Skype, Oovoo, and other systems that fall under this category. The reason for this new law is because of the constant and ever increasing security threats globally and especially in Ethiopia. However, many believe that this is a way to limit freedom of expression. Anyone who does commit the crime of internet-based voice communications will be prosecuted and could be jailed for up to 15 years, or heavily fined if found guilty. The two commonly cited explanations for the law are “national security” (read: tough to monitor) and to protect the Ethiopian government’s state-owned telecommunications service. Ethio Telecom is a monopoly, and much-despised for its expensive calling rates, especially internationally. Skype and Google Voice provide cheaper, or often free, ways to place calls. Ethiopia’s Internet penetration rate is the second-lowest in Sub-Saharan Africa, but the country’s economy booming, its cities expanding, and its middle class growing. Those factors tend to coincide with higher rates of Internet access — both because more people can afford it, and because internal migration (moving from a town to a city to find work, say) makes long-distance communication more important — but not yet here. Criminalizing a popular Internet service isn’t likely to do much to make Ethiopia more wired, nor will it likely attract many of the foreign investors who are otherwise blanketing Africa and accelerating its rise. As for Skype and other VoIP services, the new law doesn’t just criminalize their usage, but the Ethiopian ministry of communication and information technology now has “the power to supervise and issue licenses to all privately owned companies that import equipment used for the communication of information.” It’s worth noting that, as TechCentral points out; the new law also prohibits “audio and video data traffic via social media.” It’s not clear how exactly the government plans to enforce this restriction, but a potential 15-year prison term will likely keep most people from using Skype in Ethiopia anytime soon. Reporters without borders also report that Ethio Telecom installed a system to block access to the Tor network, which allows users to surf the Web anonymously. The organization notes that the ISP must be using relatively sophisticated Deep Packet Inspection to filter out this traffic. According to Internet filtering and censorship watchdog open Net initiative, Ethiopia currently has the second lowest Internet penetration rate in sub-Saharan Africa and just around 700,000 of the country’s 84 million citizens had Internet access in 2010 (that’s the most recent data we could find). The average Internet speed in Ethiopia, says Akamai, is currently 622 kbps. You are currently browsing the TOURIST LIFE TRAVEL & TOUR blog archives for June, 2012.